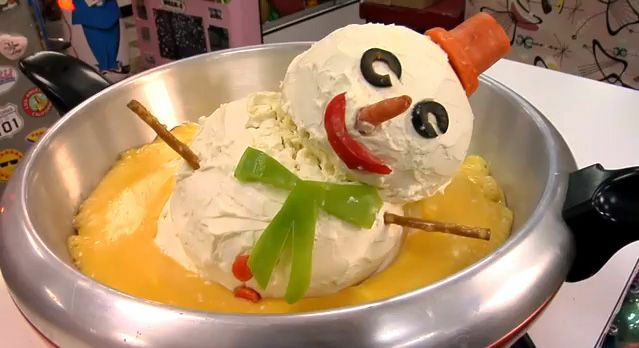 Tuesday’s post about snowman earmuffs got me to thinking about other snowmen you can eat. We’re smack dab in the middle of winter, but beyond the Christmas Santas and Rudolphs, so how about some snowy-looking treats instead? 1. 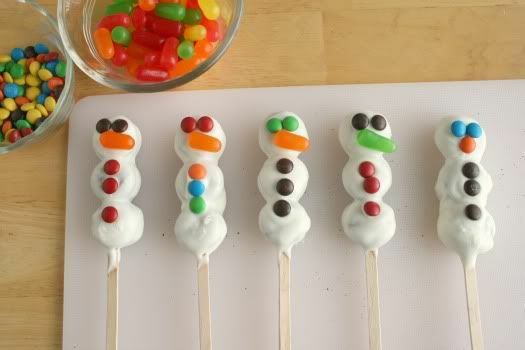 Snowman Cookie Pops – I prefer them with the M&M nose at the end, I think, but the other candies were a good attempt at carrots. 2. 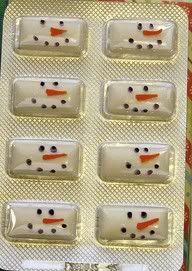 Snowman Gum – I originally posted about this as a stocking stuffer. I still think it’s cute for that, but you could potentially put it in a gift basket at other parts of the year, too. 3. 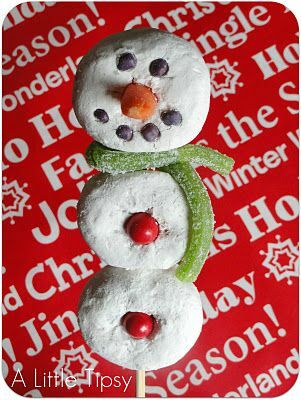 Doughnut Snowmen on a Stick – This one actually has a real carrot nose, but I’m not sure anyone is going to want to eat that in combination with doughnuts and candies. I do love the coal eyes and mouth, though. They’re made out of grape Nerds, so they aren’t all uniform in shape. 4. 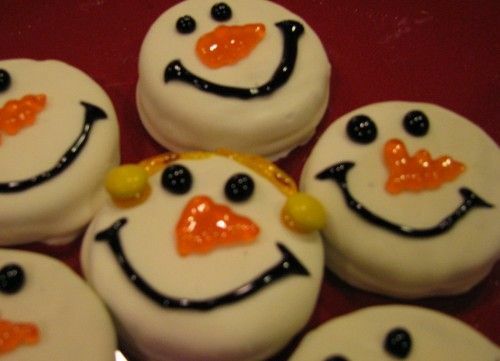 Oreo Cookie Snowmen – Aww. The middle one has earmuffs. I believe those are mini M&Ms instead of full sized ones, too, because otherwise they would be too big on Oreos. 5. 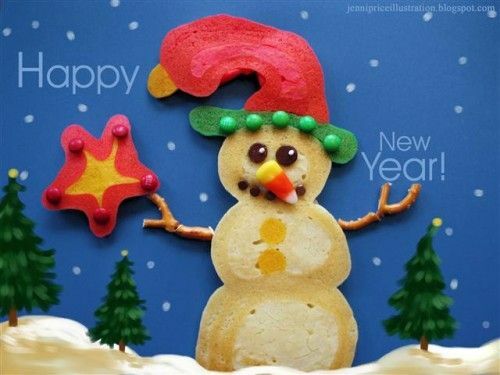 Snowman Pancakes – Man, snowmen and M&Ms go hand in hand, huh? At least we have some candy corn going on for a nose for this one. 6 & 7. 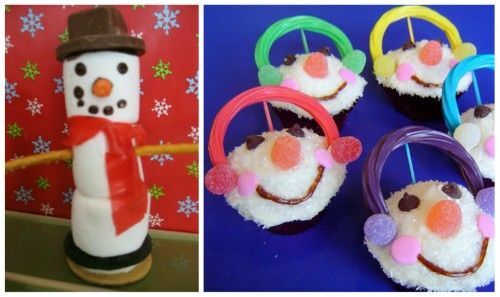 Marshmallow Snowmen and Cupcakes with Earmuffs – At first I figured the cupcakes would be made with coconut, but nope! Those are white sugar sprinkles. I would totally eat those now that I know that, hehe. 8. 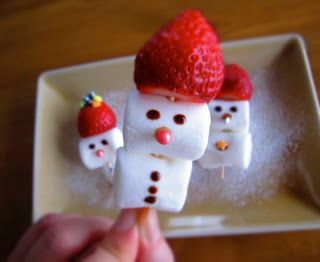 Strawberry marshmallow pops – Here’s another set that uses the obvious choice of marshmallows. I liked that this on added a strawberry hat, though. 9. 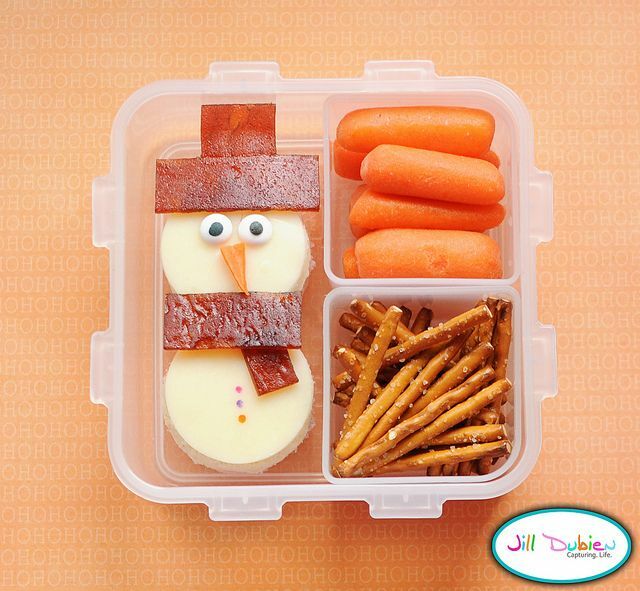 Ham and Cheese Bento – I’m thrilled that I could find some that were savory. 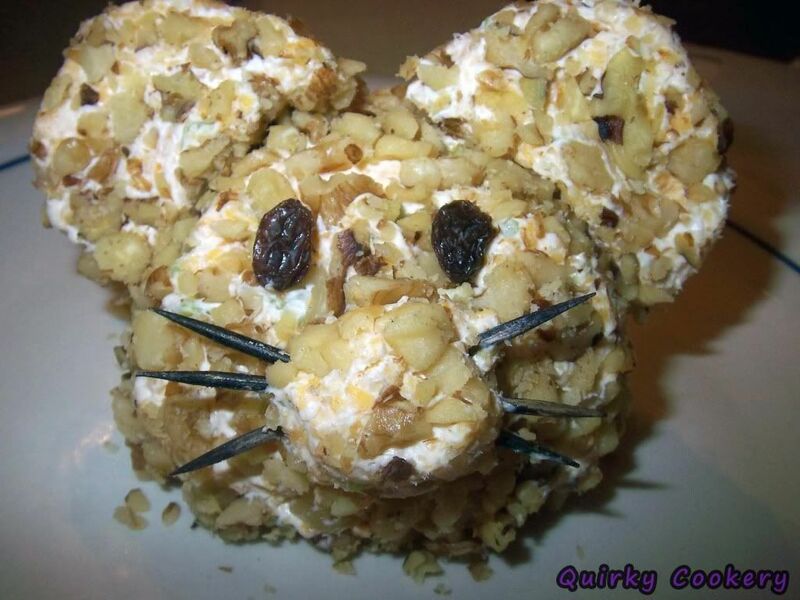 Often times when people play with food, they go straight to the desserts. I like having fun with lunches and dinners, though, too. 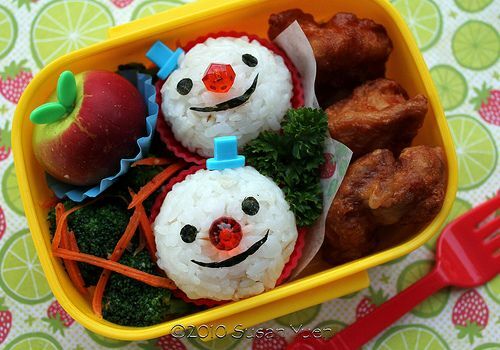 And if you follow the link, she has some other Christmas bentos that are really fun. 11. 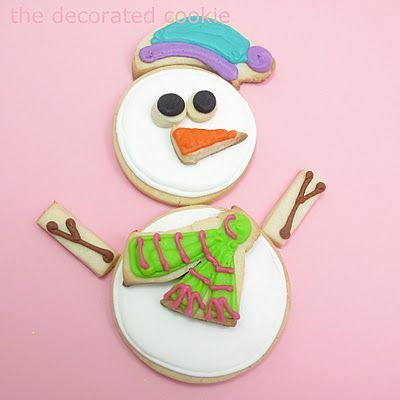 Assemble Your Own Cookie Snowmen – These are just too cute. 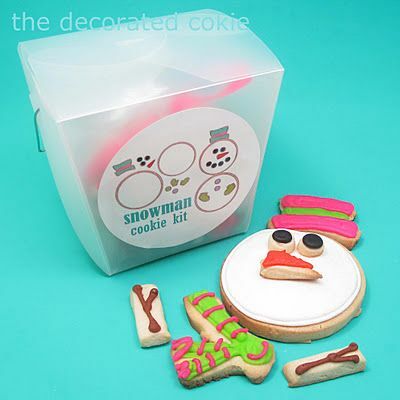 I love the idea of putting together kits like this and gifting them to kids to put together their own cookies. 12. Melting Frosty the Cheeseball Fondue – There’s a video of this one, too. 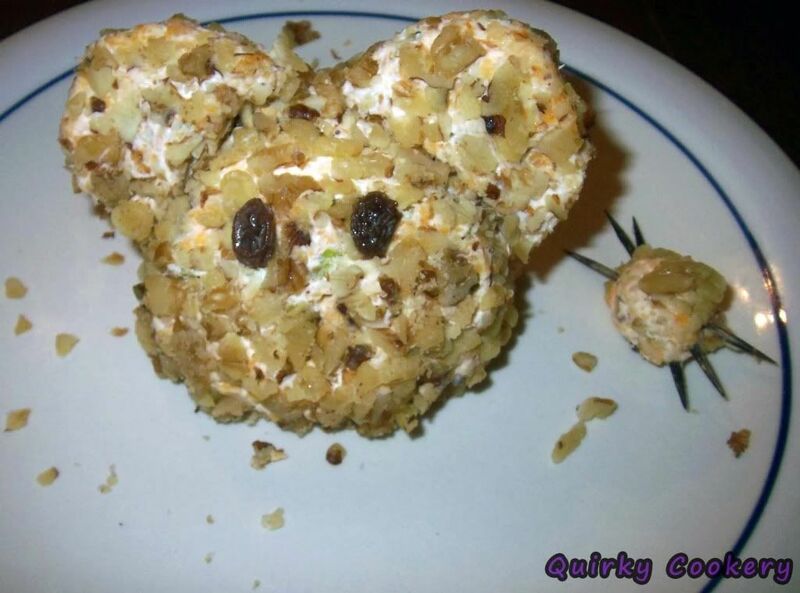 It starts as just a snowman cheesball and then they melt him in a sauté pan. Poor Frosty! 13. 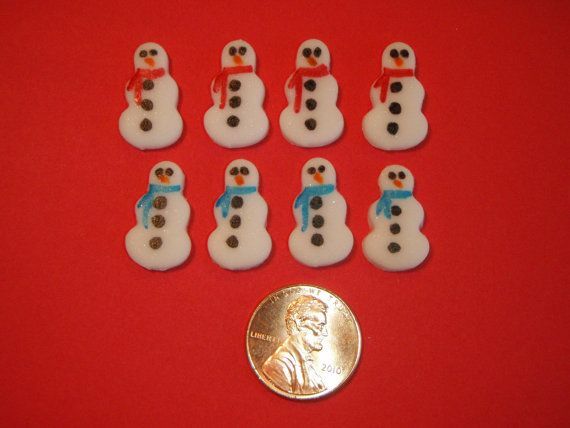 Miniature snowmen fondant – They’re so teenie tiny!! You can buy them on Etsy to then use them for cupcakes or cake pops, etc. 14. 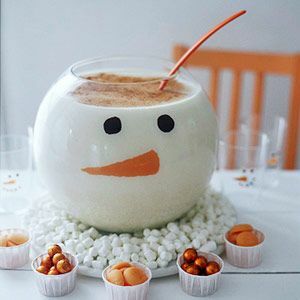 Snowman punch bowl – Actually, it’s more likely to be milk or eggnog. If you look in the back, there are also matching glasses. Unfortunately, the link for it is partially broken, but there are several other great ideas with full info still listed. 15. 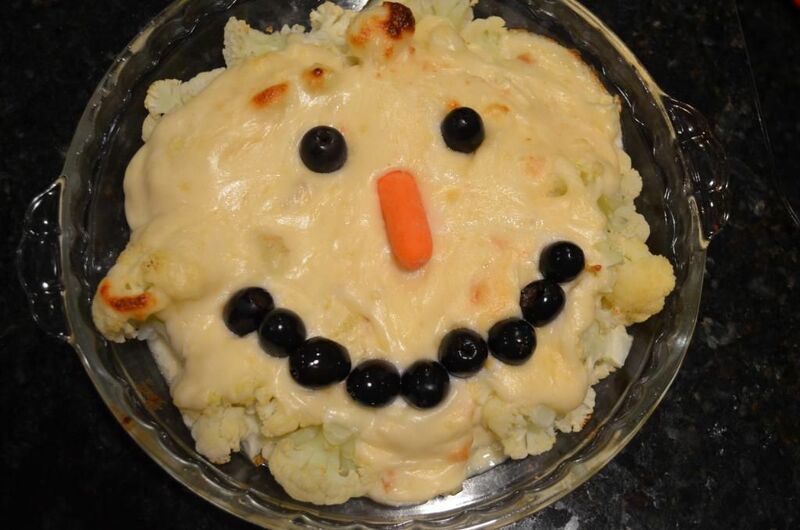 Cauliflower Cheese Man – Hehe, this looks like something I would end up making. It’s not as professional as other pictures, but it’s “real,” if that makes sense. This is what most people at home would end up with and it’d taste delicious. Love it. Really, can you imagine a better food to create that bright fake orange color? Cheetos might give it a run for its money, but once crushed, I don’t know how well it would stick. I guess maybe the powered cheese from boxed macaroni and cheese might work, too? 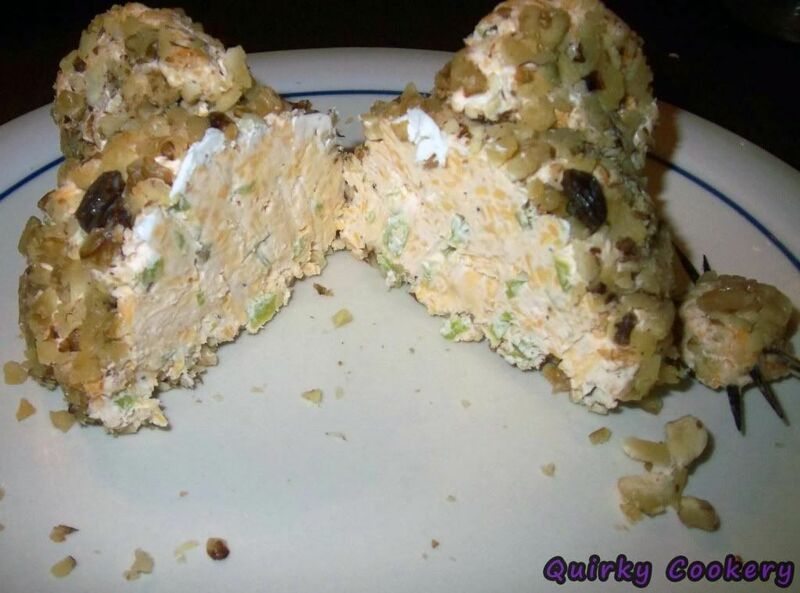 Either way, you know my love for cheeseballs, so this one gets added to the list. 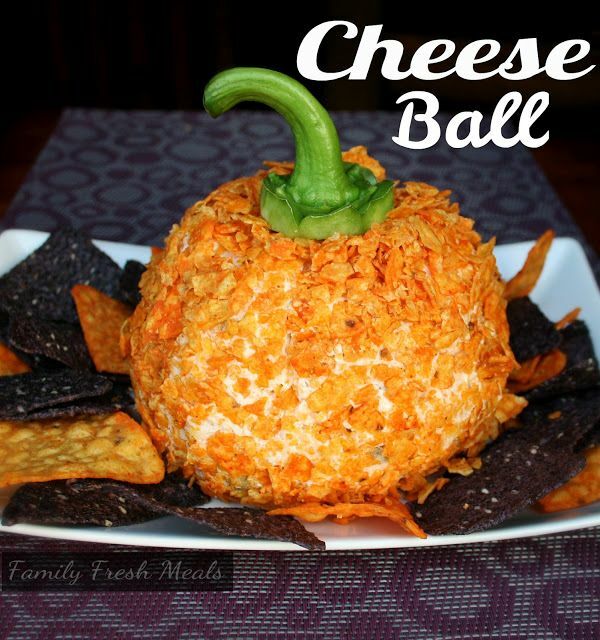 It’s simple, but clever, and the bell pepper stem is perfect for making it into a miniature pumpkin. I might be tempted to add pepper cutouts for a jack-o-lantern face, though. Recipe at Family Fresh Meals. I might have a thing for cheeseballs. 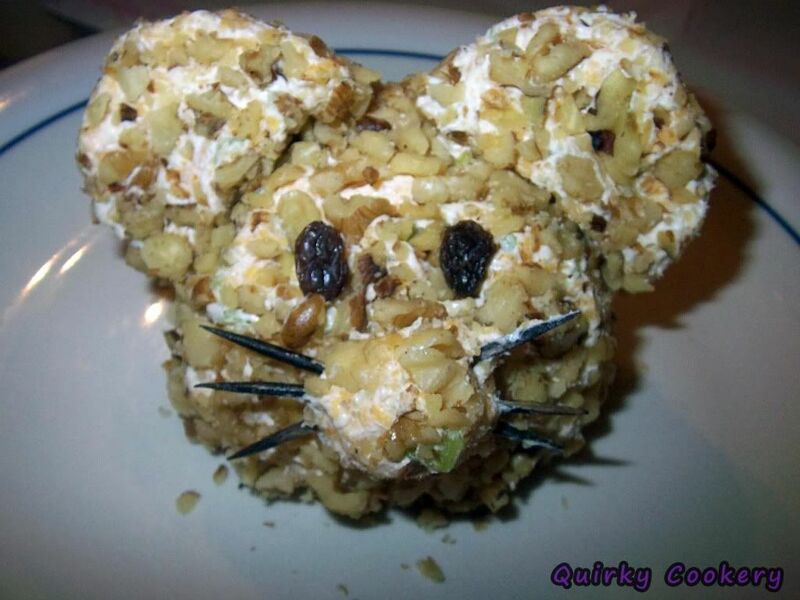 And really, if I’m going to shape something made of cheese, doesn’t a mouse seem perfectly logical? Right, because I make my food choices based on logic. That’s kinda like saying that I didn’t feel bad when I popped his little nose off. 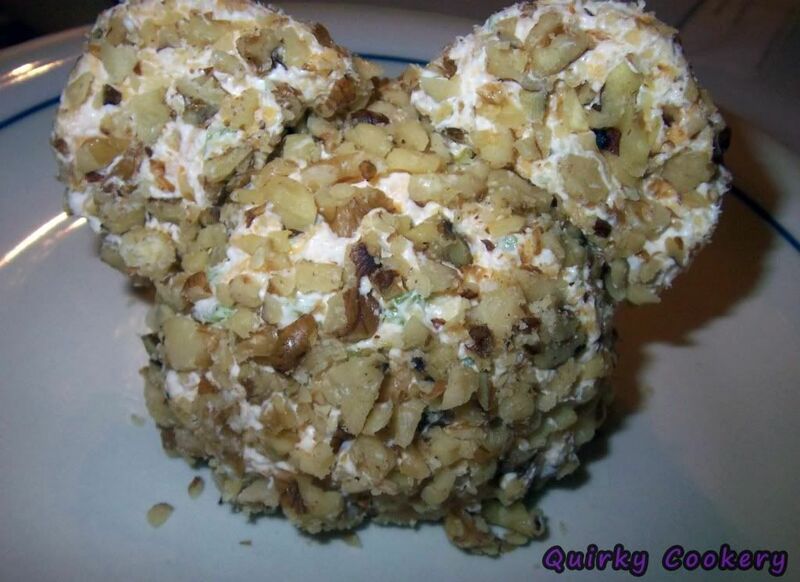 *cries…and then digs in with a cracker* Mmmm. Bianca Cruz on Homemade dog food – Make it, portion it, freeze it, win!